Last year, Kate had to get braces…to clean them, she just had to brush and floss them really well. Now she has a retainer, which is a totally different ballgame. She wears it unless she is eating, so after a full day at school it can be pretty gross. It’s not like she can brush it there at school. When she got home, she would brush it with toothpaste like her orthodontist suggested, but it still wasn’t as clean as it could be. I thought I would make her a solution to soak her retainer in and it works perfectly! 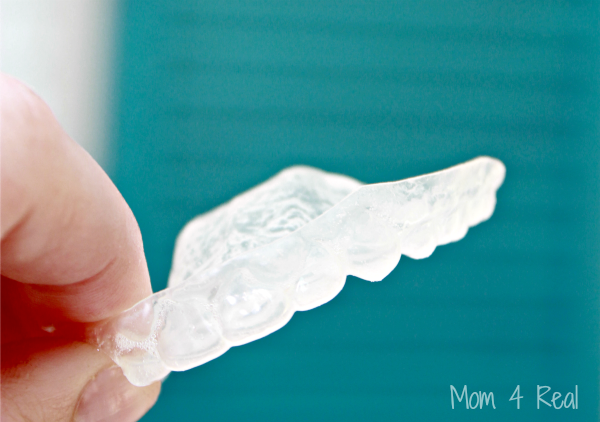 This retainer cleaner leaves her retainer clean, fresh and sanitized too! 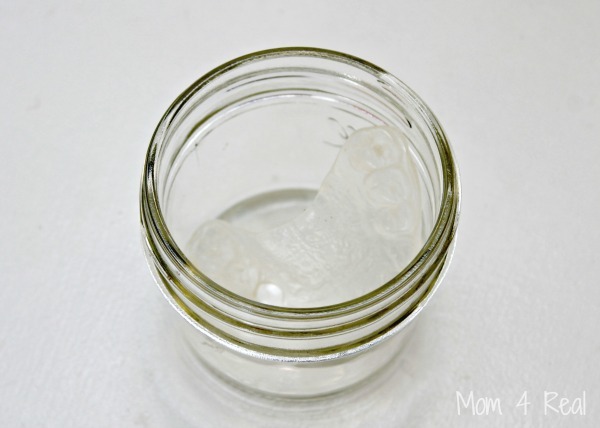 First, I place the dirty retainer in a small jar or bowl and cover with cold water. 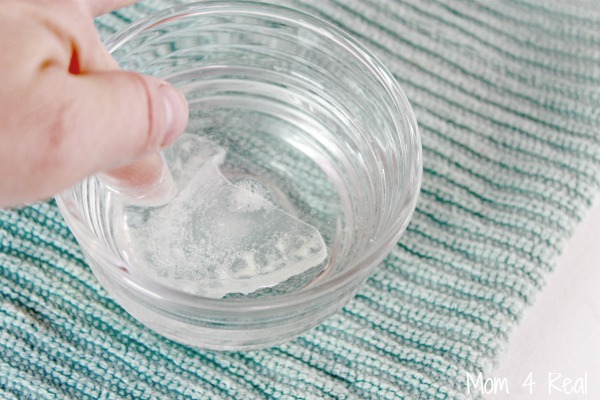 Do not use hot water…it can melt the plastic and reshape it. 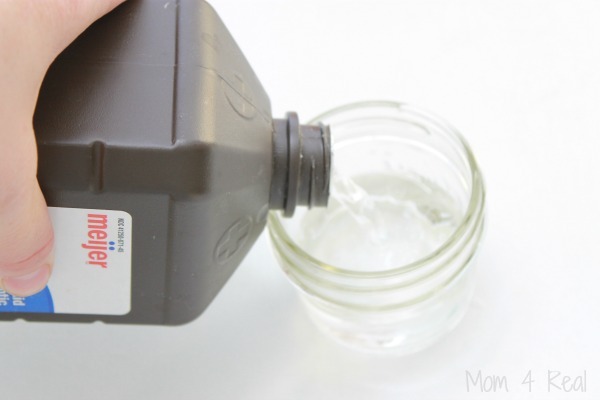 Next, I add a tablespoon of hydrogen peroxide. 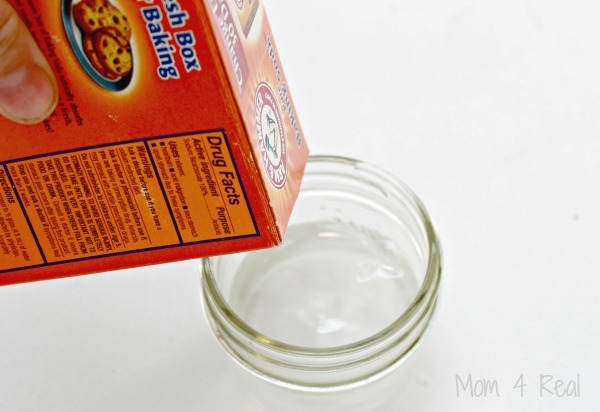 Then I sprinkle a little baking soda in. 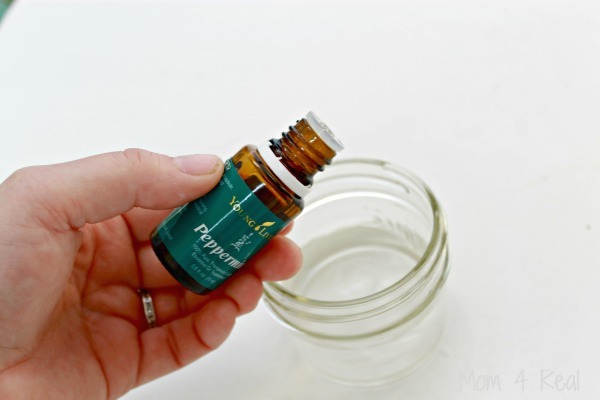 And add one drop of Peppermint Essential Oil. I give it a little stir. I submerge her retainer and leave soaking for about 10 minutes. Then I take it out and rinse it in cold water! It is clean, fresh smelling and sanitized! These ingredients won’t hurt the reatianer, and this solution can also be used on invisilign braces too!